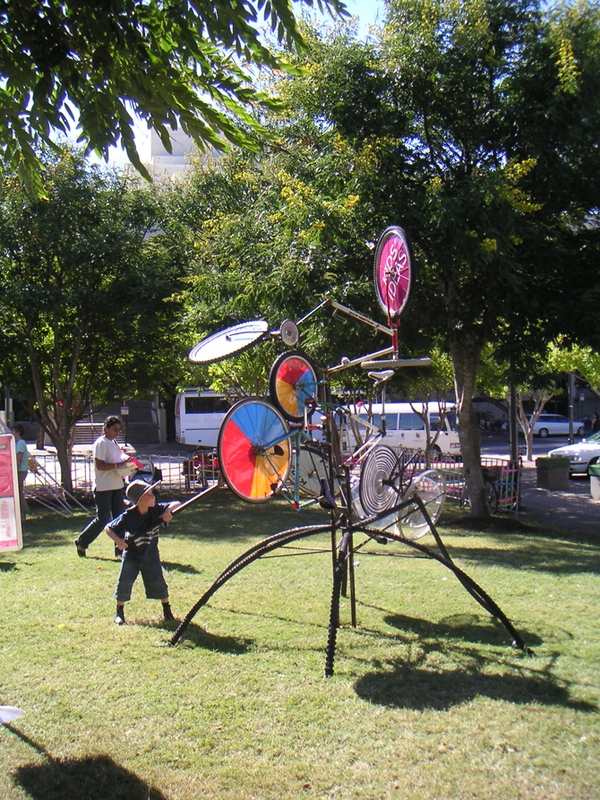 The machine was created solely from bicycle parts to be interactive and accessible for ages 4 and up. After the festival ended I found that the machine was used so much that one of the three bells had a fatigue crack from having its duty cycle reached. The rest of the machine faired well apart from some vandalism attempts during the night. 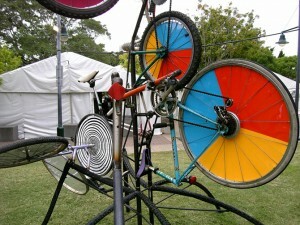 The bicycles used in this sculpture were destined for the dump and were pleased to have had a second brief life.